Posted on January 31, 2019 | 1716 views | Topic : Featured Dev, News & Articles, Property News. Towering above the city skyline is a sanctuary that caters to the well-being of its residents. With its tagline “A Different Kind Of Dwelling”, Chambers Kuala Lumpur captures the imagination by providing the best of old world charm and the vibrancy of the metropolis. 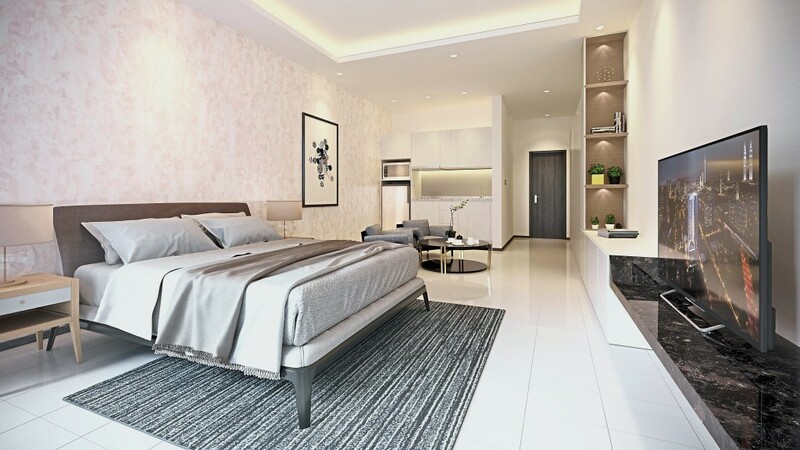 This freehold serviced apartment development by Matrix Concepts is strategically located along Jalan Ipoh Kecil, off Jalan Putra, and towers above the city skyline. 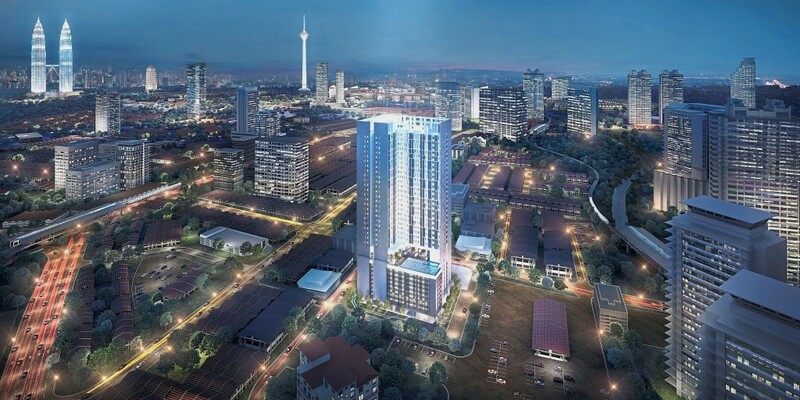 The 509 units, priced from RM429,000 to RM1.05mil each, sit on one acre of commercial land. 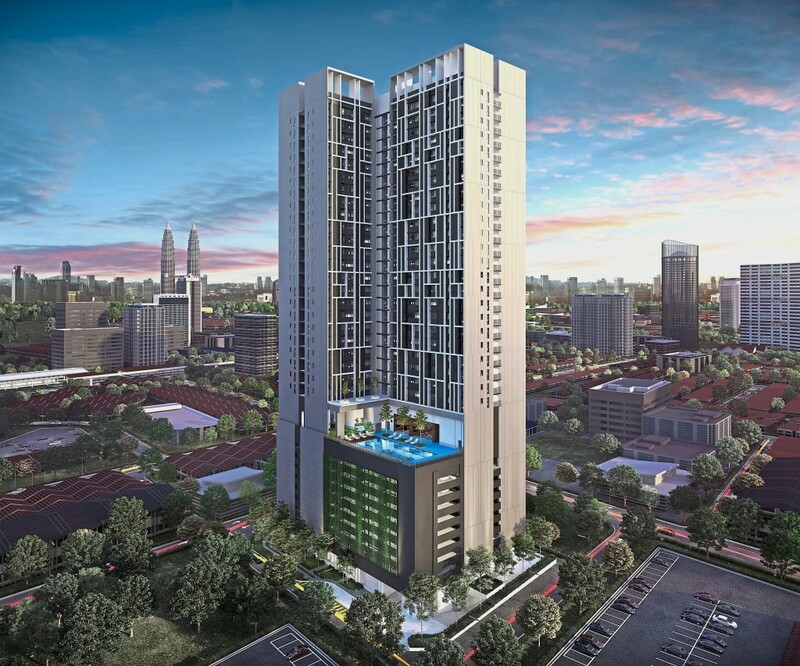 The price per square foot of RM1,000 is highly attractive for a development located in the heart of the city. Aside from its location, the project comes with semi-furnished units of 450sf to 908sf in three designs. The furnishings of each unit include a kitchen fully-fitted with cabinets, hood and hob, refrigerator, and microwave oven – as well as a washing machine, air conditioners, and water heaters. Living spaces are designed to optimise functionality and promote individuality. Chambers Kuala Lumpur exudes opulence and elegance while offering warmth and comfort. In this city refuge, residents get to enjoy various facilities including a swimming pool, BBQ area, gymnasium, lounge area, open deck, games room, children’s playground, function room, and prayer room. 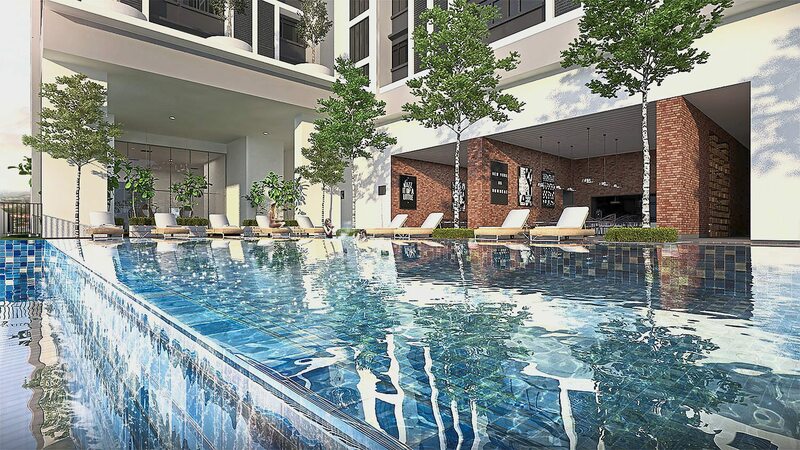 Top-notch facilities at Chambers Kuala Lumpur make it highly appealing to first-time home buyers, upgraders and investors. The project presents itself as a relaxing nook for those wishing to escape the hustle and bustle of the city. Step into the common areas to escape from the bustling city. Situated right smack in the centre of Kuala Lumpur, Chambers Kuala Lumpur is close to countless cafes, services, and transportation options. It’s a mere 210m to an LRT station, 350m to a shopping mall, 650m to a convention centre, and 700m to a hospital – offering convenience and accessibility. Living spaces in Chambers Kuala Lumpur are designed to optimise functionality and promote individuality. The layout is carefully planned to make the units feel twice as big as the stated dimensions may suggest, creating a spacious environment for residents. Being a rapidly developing metropolis, Greater KL is attracting commercial interests and talents. The importance given to its environment, liveability, and resident welfare acts as an added advantage for the city in the eyes of the world. The location of Chambers KL provides a great opportunity for investors to reap the returns offered by the city. As a first home, an upgrade, or an investment, Chambers KL is versatile enough to cater to the needs and wants of buyers.